Movies revolving around a mysterious disappearance reliably generate intrigue, whether or not they ultimately prove satisfying as an actual mystery. Sometimes, the film provides an answer to what happened to the missing character(s)—even if, as in The Vanishing, it’s decidedly not the answer (nor the means of revelation) that the long-searching protagonist wants. Other classics, like L’Avventura and Picnic At Hanging Rock, deliberately eschew any sort of resolution, leaving both the nature of events and their meaning open to interpretation. 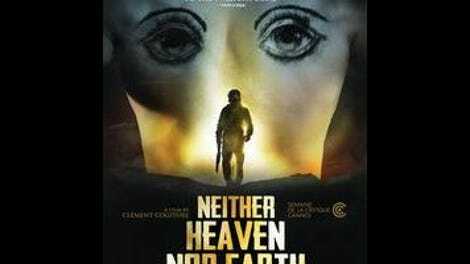 Neither Heaven Nor Earth, the feature debut of French filmmaker Clément Cogitore, falls into the latter category. 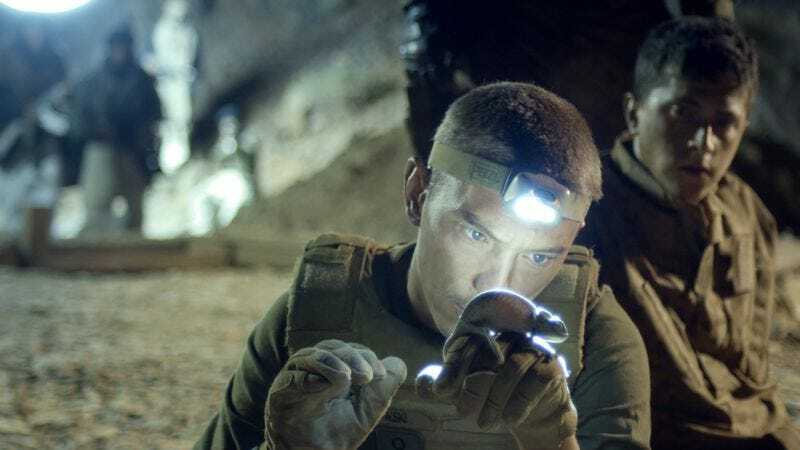 Set among soldiers stationed in Afghanistan, near the Pakistani border, this virtually action-free war movie (which premiered at Cannes last year with the English-language title The Wakhan Front) will frustrate anyone seeking concrete explanations. Its haunting atmosphere, however, in conjunction with its half-harrowing, half-sleepy milieu, keeps the film fascinating until it finally fizzles. There’s a Clerks-style “We’re not even supposed to be here!” dynamic at work, right from the start—not just because these grunts aren’t sure why they’re in Afghanistan, but because they’re expressly waiting to be pulled out, as part of a NATO-determined withdrawal. For Captain Bonassieu (played by Dardennes brothers fixture Jérémie Renier), just keeping the troops’ spirits up in the face of general lassitude represents a daily challenge. When two of his men go missing during a night watch, however, the sense of purpose that ensues quickly gives way to befuddlement. Searches and interrogations of the locals reveal no sign that the missing soldiers were killed or abducted. They’re just… gone. Some Taliban soldiers in the same rough location have apparently likewise vanished, also at night. Eventually, as his unit keeps getting inexplicably smaller, Bonassieu finds himself so stressed out that he has himself monitored by a remote camera feed while he sleeps, in the hope that doing so might provide physical evidence of what’s going on. Cogitore wrote Neither Heaven Nor Earth’s screenplay in collaboration with Thomas Bidegain (A Prophet, Saint Laurent, Dheepan), and the way they resolve Bonassieu’s quasi-scientific experiment isn’t ambiguous so much as it’s a cheat, plain and simple. Furthermore, the captain’s extreme psychological and emotional journey, which takes him from stubborn rationalism all the way to manic mysticism, proceeds so speedily in the movie’s closing stretch that it doesn’t quite feel organic. Renier’s a terrific actor, though, and he manages to fill in most of the gaps with sheer conviction, creating an indelible portrait of a born leader who experiences… well, not a crisis of faith, exactly (in some respects, it’s precisely the opposite), but a scary rupturing of his belief system. Shot in Morocco, the film also benefits mightily from desolate location work that’s rendered all the more eerie by Cogitore’s frequent and savvy use of night-vision technology. If things conclude on a somewhat maddening note, at least that’s very much in keeping with tradition.